After North Korea targeted Japanese air space with a ballistic missile last night, Japan and South Korea now tend to revise their strategy in the conflict. Seoul’s presidential spokesman Park Su-hyun said four F-15 fighters dropped eight MK-84 bombs - each with the explosive yield of a ton - that accurately hit targets at a military field in Taebaek, near the border to North Korea on the eastern coast of the peninsula. Vice Defense Minister Suh Choo-suk said: “In the event of an invasion from the North, we will engage in an aggressive, deep-offensive operation” inside North Korea. It also includes pre-emptive strikes against North Korean nuclear weapons and missile bases as well as operations to assassinate high-ranking North Korean officials. North Korea neighbours DROP BOMBS near border as nations 'ready for war'. confrontation on the peninsula will increase. Analysts consider: With North Korea massing its missile launches within a short period of time, the situation on the Korean peninsula will be further driving into a circulus vitiosus of increased escalation. 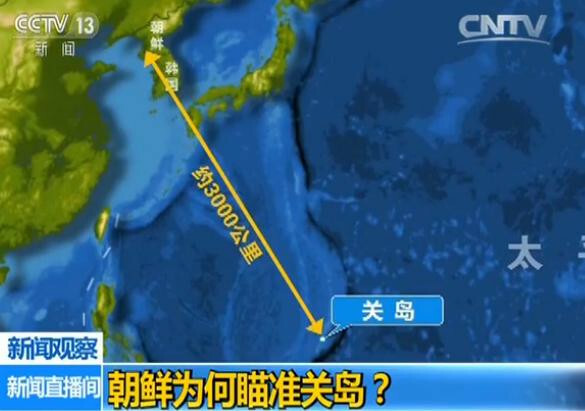 Midnight news on August 29, 2017.
of guided missiles targeting the Pacific Ocean. The article is referring to information launched by North Korea's "Korean Central News Agency 朝鮮中央通讯社. The North Korean report confirms the preferential use of Hwasong-12 intermediate range ballistic missiles on special order by leader Kim Jong-un. The North Korean missile reportedly passed over Japan's northernmost island of Hokkaido before it fell into the Pacific Ocean broken into three pieces. The Japanese government immediately assembled for an emergency meeting. Japan's Chief Cabinet Secretary Yoshihide Suga called the test a clear violation of United Nations resolutions. North Korea confirmed that the missile launched into the direction of north-eastern Japan was a Hwasong-12 intermediate range ballistic missile, the same type North Korea is planning to use for the "encircling fire" of Guam. On Tuesday morning, August 29, the Dow Jones industrial average futures opened more than 100 points lower following the missile news, while the dollar fell 0.5 percent against the Japanese yen. There had already been nervousness in Asian markets on Monday, August 28, related to the latest tensions caused by North Korea's missile tests. 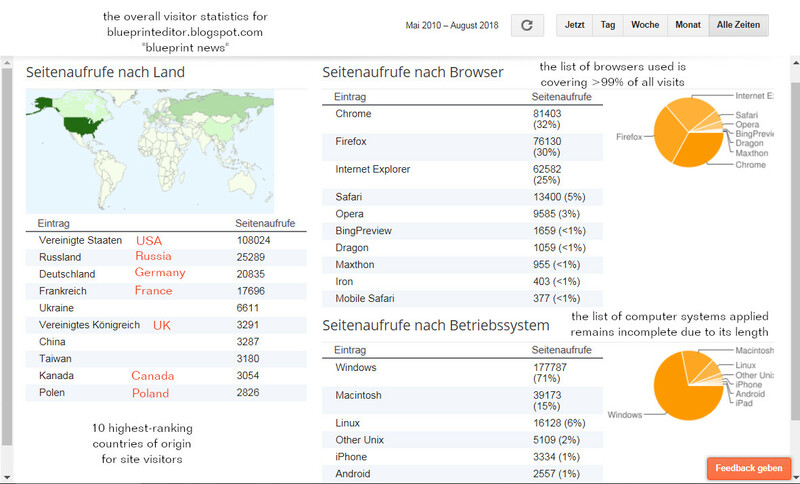 Today, August 28, Chinese networks (i.e. 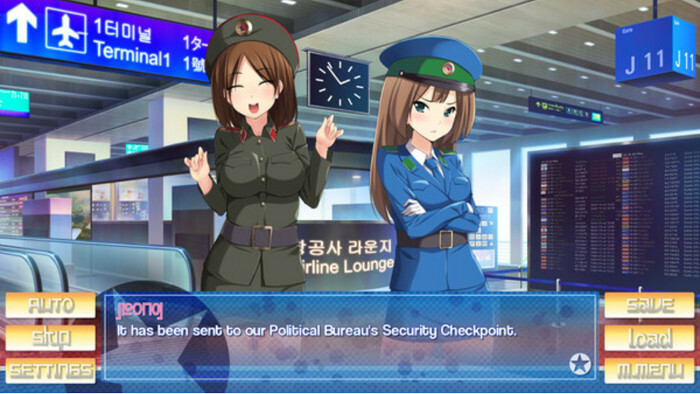 SINA and Global Network) report on a new video game launched by North Korea. North Korean company informed about 3D shooting game. U.S. soldiers become targets for "hunting and killing". 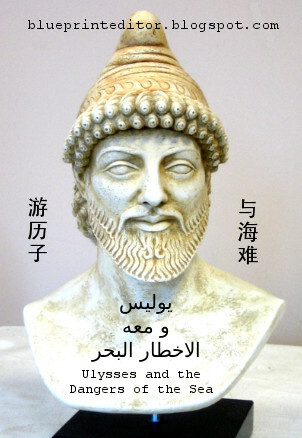 "Chase and Kill the U.S. Guys" “猎杀美国佬” is the title of that video game. The player will be able to interfere "by using a sniper's gun to kill and thus hit back at [local] U.S. troops after a potential invasion by the enemy" “潜入敌后用狙击枪射杀击倒美国士兵”. 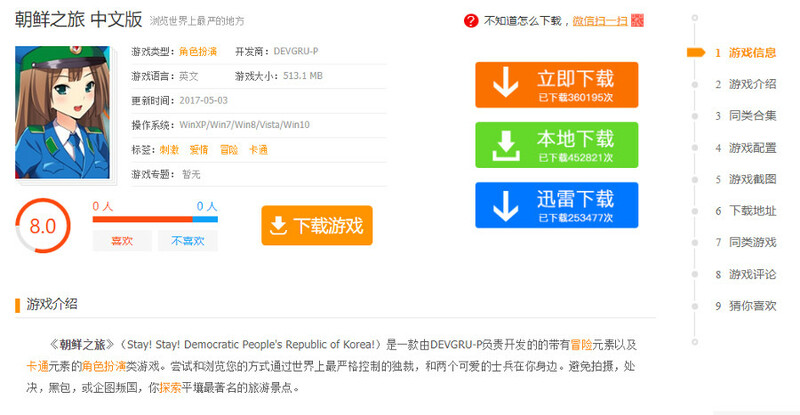 On the opposite side, there is another video game related to life in North Korea and which I found in some Chinese network. 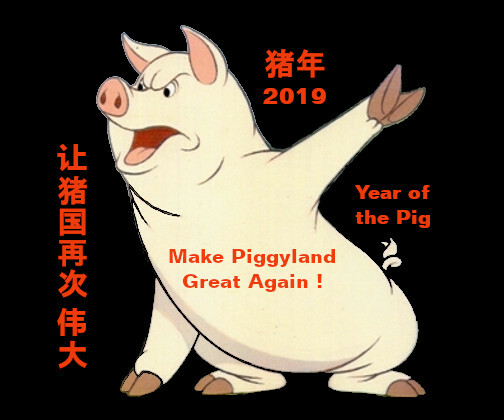 It seems to be of western origin and intended as propaganda, even though it can be downloaded from different regional Chinese servers as the description page is suggesting. Technical requirements are rather basic (Windows XP upwards, 500 MB). 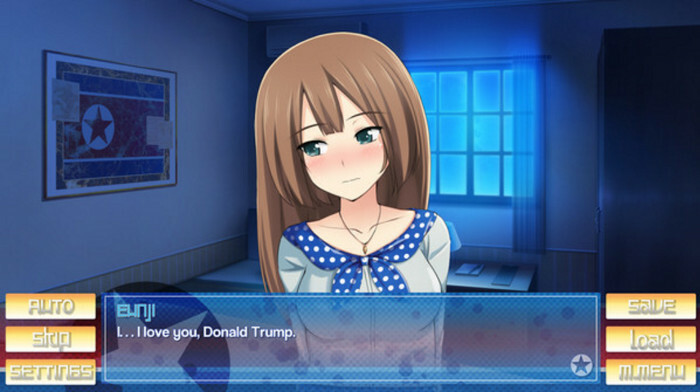 The company behind that game says it is creating "offensive visual novels". Stay ! Stay ! Democratic People's Republic of Korea (DPRK). My first (and only) Trip to North Korea. off its east coast, report says. 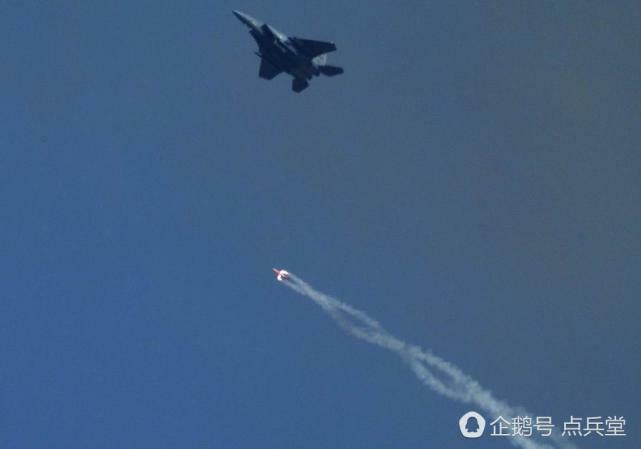 A first evaluation of the missile launch made western military analysts assume that "two of three short-range missiles failed in flight". At that time it could not be excluded that one single long-range ballistic missile might be accompanied by several short-range missiles launched in short sequence from North Korea's eastern Kangwon province. 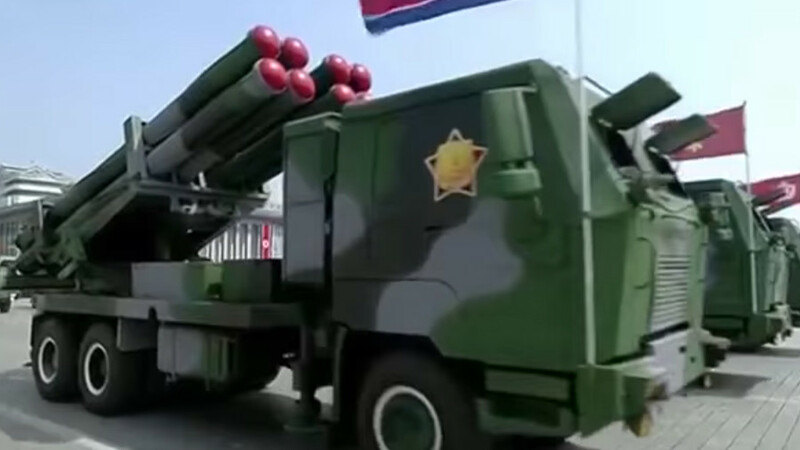 The latest military evaluation made by South Korean forces, however, lead to the assumption the North tested its new 300-millimeter multiple-tube rocket-launcher that is able to launch up to eight "artillery missiles" which can create their own thrust and are guided during delivery. Such missiles are difficult to distinguish from single-launched short-range ballistic missiles and can reach many U.S. military bases located in S Korea as their range of delivery is about 180 km. launched by North Korea towards the Japanese Sea. 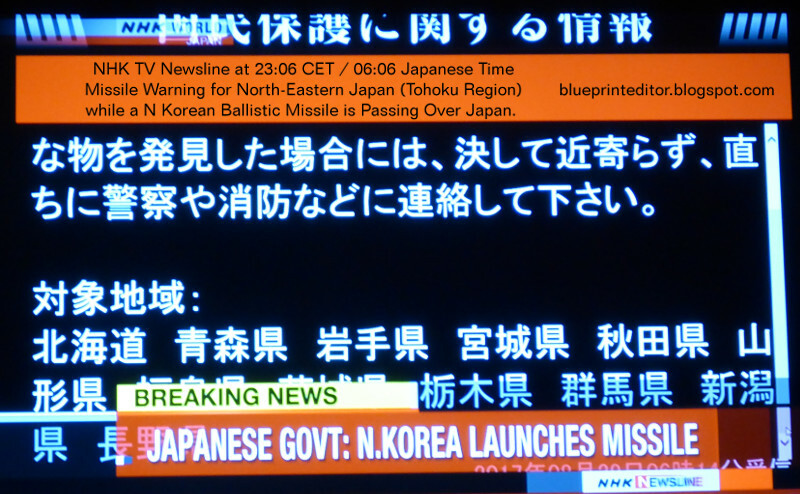 This news is referring to the first launch of a North Korean short-range missile at 05:49 Beijing Time. It is expected to cover a range of 250 km max. 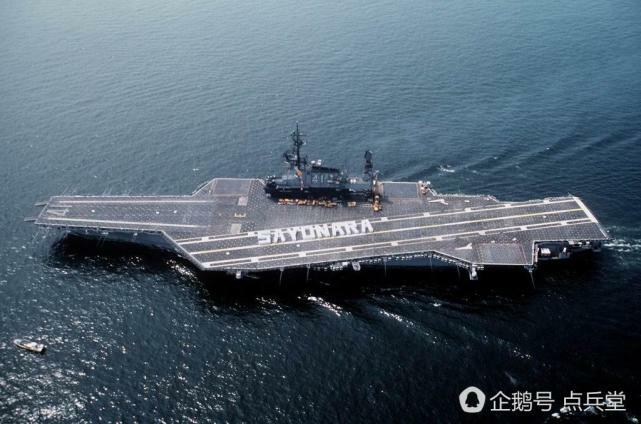 and is considered as the answer to U.S.-South Korean joint military drills. banned from founding new joint-ventures with China. 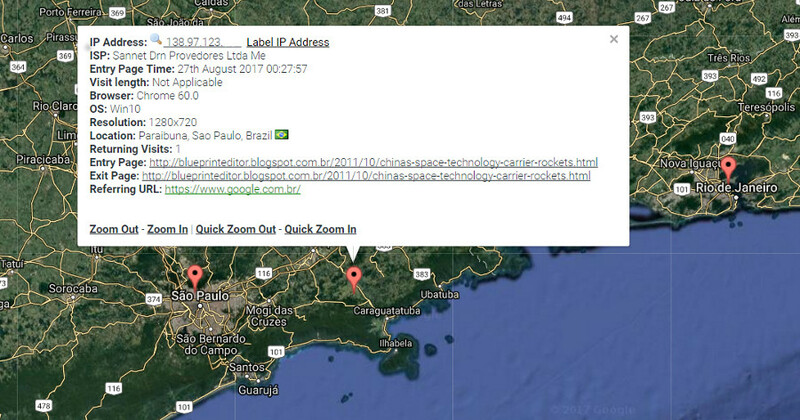 Brazilian visitor to "blueprint news" and who is interested in Chinese rocket technology. doesn't remember having developed from a tadpole. China's intention to seriously carry through UN sanctions imposed on the DPRK while at the same time insisting on bilateral talks between North Korea and the U.S., has led to tensions between long-standing allies North Korea and China. 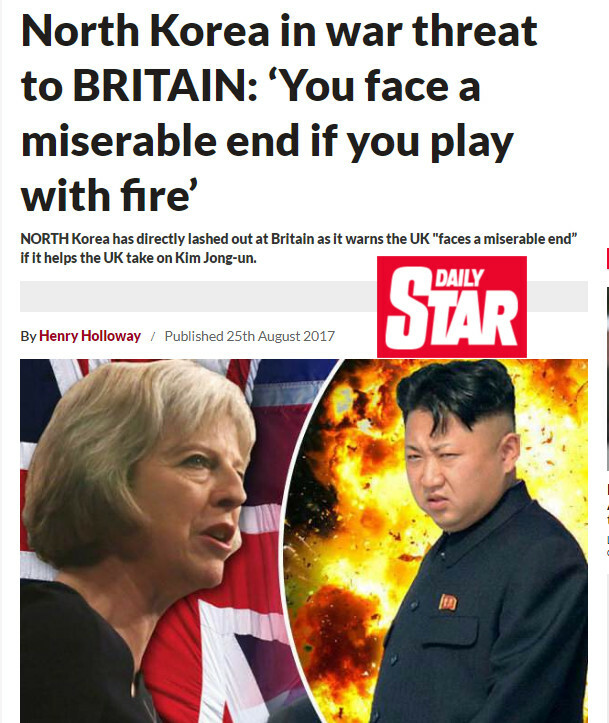 North Korean state media are unanimously "shelling" Beijing: Never forget ! recognize and connect with the adversary's good will. 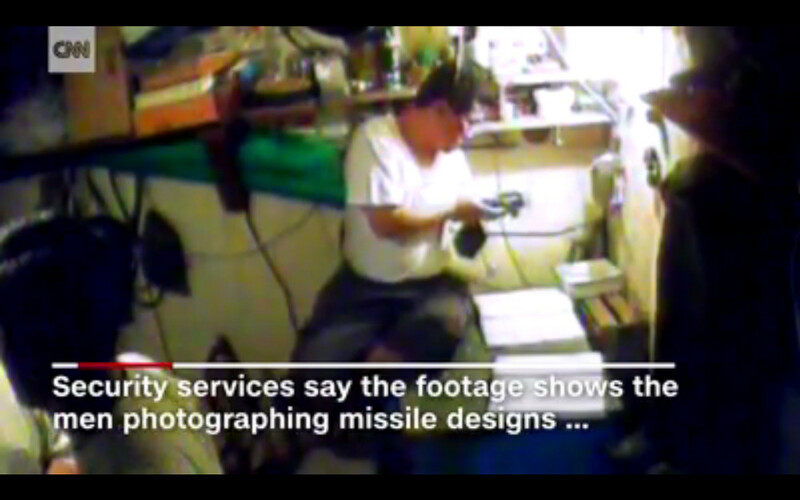 Some hours befored, America's TV channel CNN came about with a footage video showing the proceedings of arrest of two North Korean spies who were charged for photographing secret material concerning Ukrainian missile design. 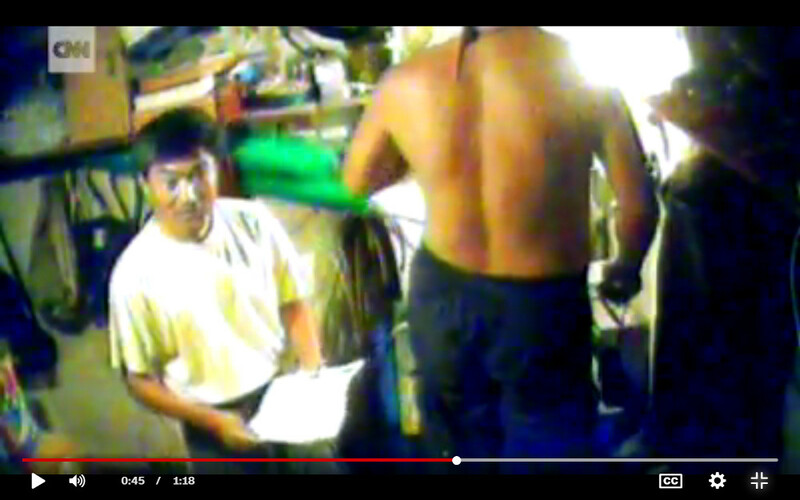 At the moment of their arrest in 2011, however, they were going to photograph fake material. Both N Koreans were sentenced to eight years in prison. 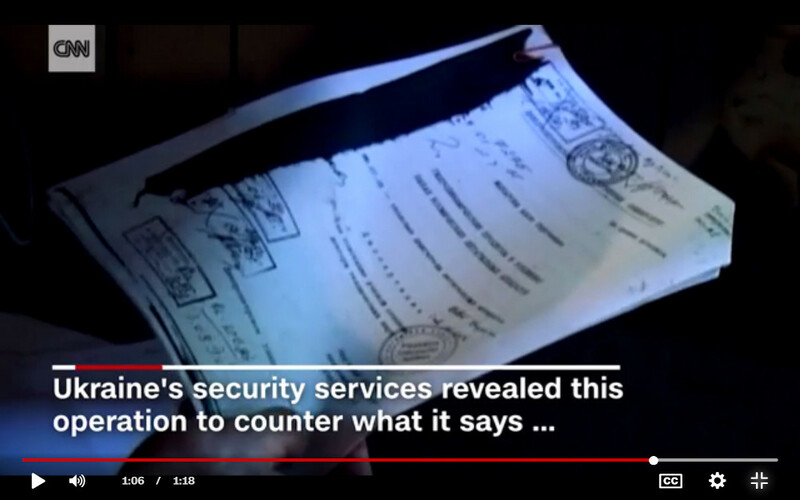 According to English subtitles, Ukrainian security services released the footage of its operation in order " to counter what it says are claims that their missile designs are now being used in North Korea's latest launches ". 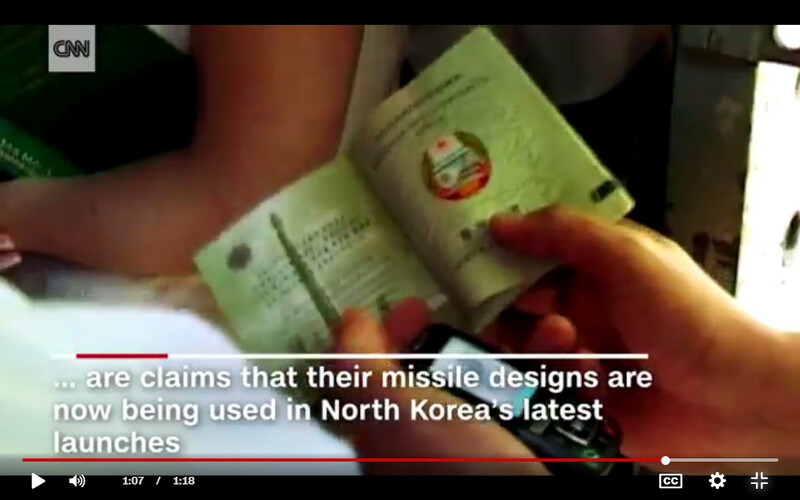 On August 15, 2017, blueprint news already quoted a Chinese language source that hinted at Ukrainian technology being used by N Korea. 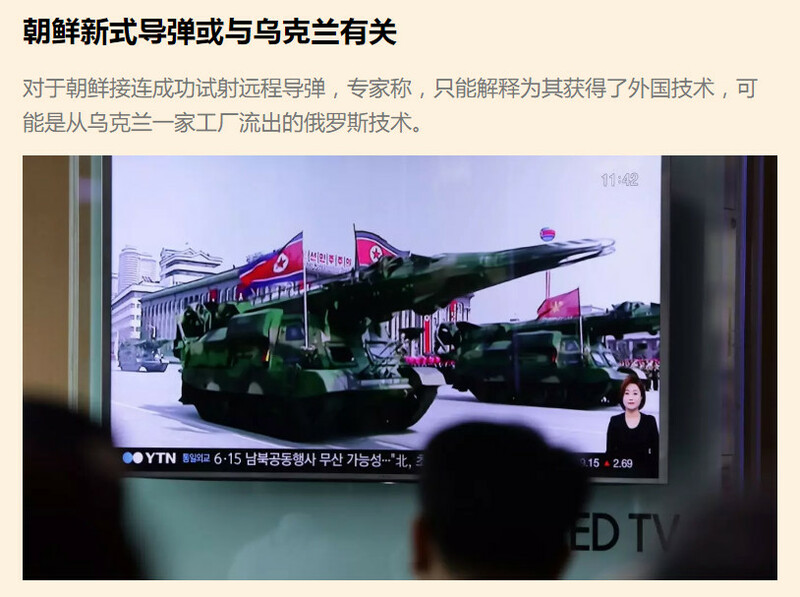 In the middle of rising tensions between the U.S. and North Korea, an important Chinese news center reminds us of a similar situation during the cold-war era that might have led to a nuclear confrontation as well. 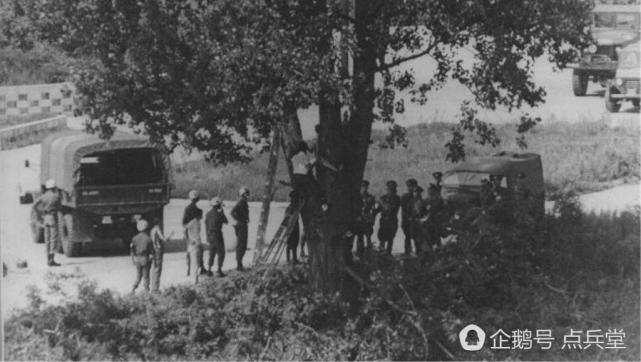 The starting point of that conflict was of rather low importance: It was about U.S. troops trying to cut a tree in the neighbourhood of the Panmunjon negociation center which is accessible to both sides. start a big nuclear war on the Korean peninsula. 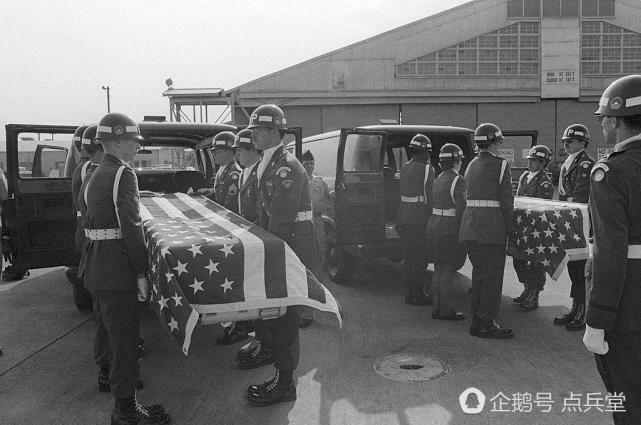 After the chapter of the Korean War had been written, the Korean peninsula was continuously shrouded in dark clouds of war that would not disperse for a very long time. When in 1976 the atmosphere between the North and the South became most sticky, the situation reached a culmination point and even got close to the outbreak of a nuclear war! 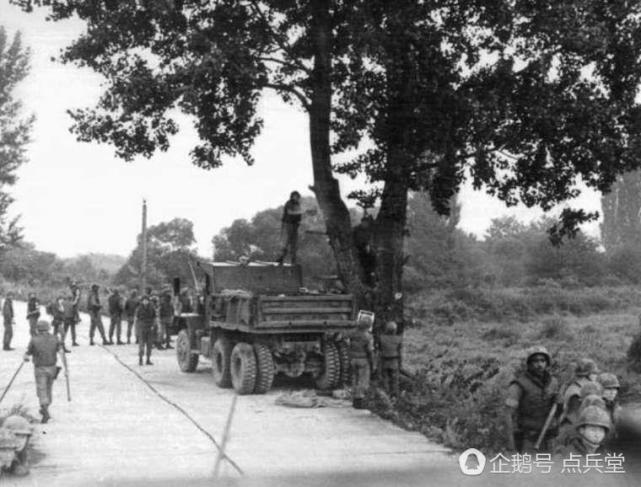 That situation was surprisingly originating from some spot where poplars were growing in the Panmunjon zone of high alert belonging to, both, North and South Korea. 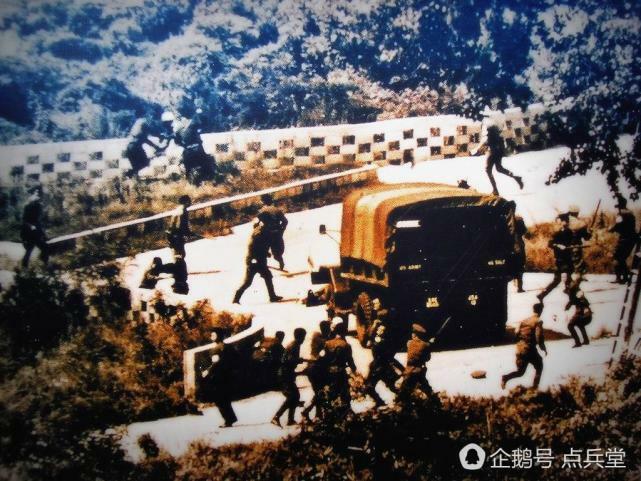 The following photos from China's military archives should speak for themselves! 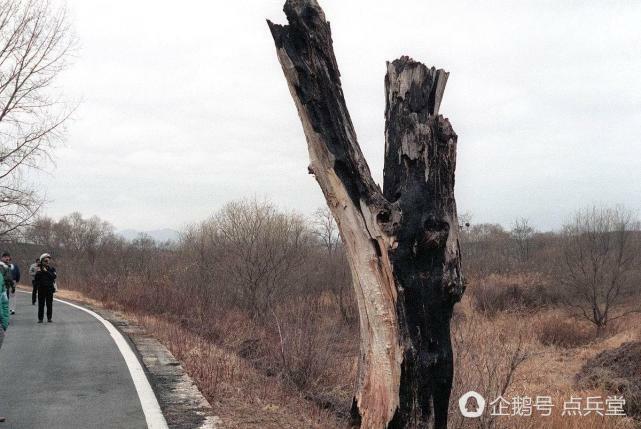 U.S. and North Korean troops assembling at a tree the U.S. want to cut. The debate gets out of control. 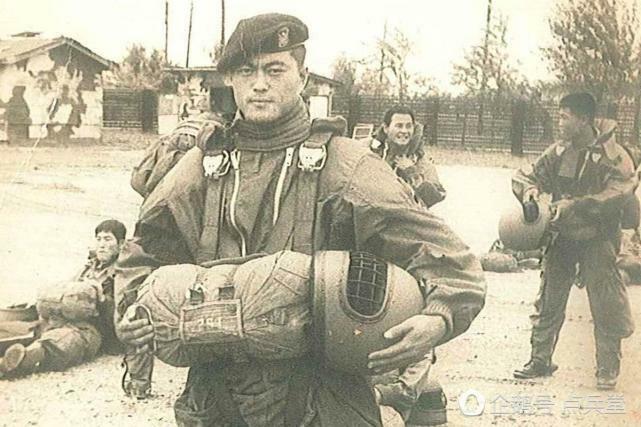 South Korean troops for support. North Korea: "Mount Peaktu's big man is summoning the General Assembly". What is meant with General Assembly? August 15, from the People's Palace for Culture in Pyongyang the 2017 meeting of the General Assembly was summoned to meet under the guidance of 'Mount Paektu's Big Man'. That means the General Assembly of the People is being summoned by leader Kim Jong-un. The unusual expression 'Mount Paektu's Big Man' might possibly hint at the historic stronghold of Mount Paektu where Kim Jong-un could have decided to establish the headquarters of his nuclear forces during a military conflict to come. Mount Paektu (Chinese: Whitehead Mountain 白头山) has become known as "the sacred mountain of the revolution". It is an active volcano on the border between North Korea and China. 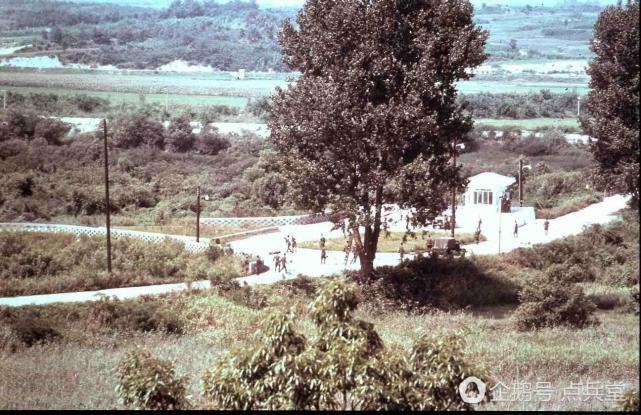 During the Japanese occupation and the Korean War it served as a military stronghold for Communist leader Kim Il-sung whose son Kim Jong-il was allegedly born there. As Mount Paektu experiences a steady rise of its underground magma level and is known to explode to life every 100 years (last eruption: 1903), it would be highly risky to nuke its mountaineous neighbourhood, in case North Korean leader Kim Jong-un might install there his headquarters. In case of a natural catastrophe, China would have to suffer most from the fallout of volcano ashes and probably related climate change. 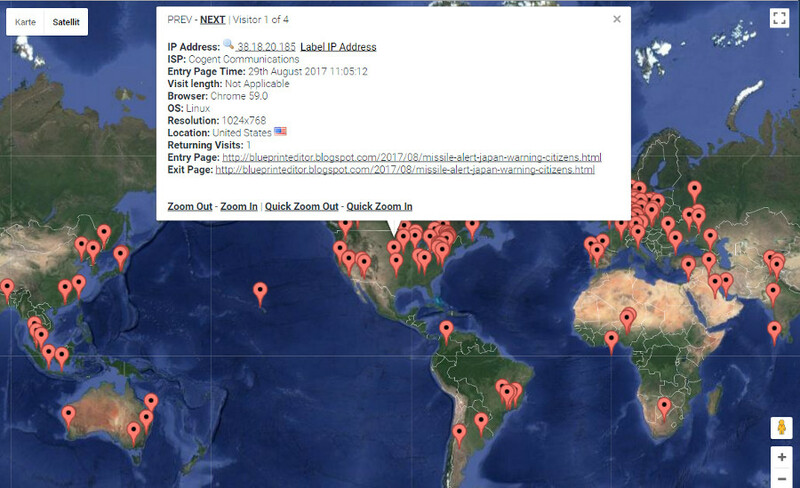 That is one among other reasons why China is fearing the outbreak of war between North Korea and the U.S..
Last Update on August 18, 2017, added at the end of current blogspot. war. - Read more after a summary of latest news. jointly stop North Korea from launching missiles. The Chinese text is referring to a telephone call U.S. president Donald Trump and Japan's prime minister Shinzo Abe had had this morning. In a press conference, held later today, Abe said that "N Korea's announcement of missile launches is an act unprecedented in history of increasing regional tensions". North Korea postpones the plannings for a missile attack on Guam. Guam radio stations accidentally air emergency alert amid North Korea threat. Pyongyang’s state media has this morning reported President Kim Jong-un as “praising” his Strategic Force for drawing up a “careful” plan for a “power demonstration” to “envelop” Guam in fire. Kim said he would “watch a little more” Washington’s behaviour, but he will make an “important” decision if the US continues its “extremely dangerous reckless actions”. on Guam and is warning the U.S. to refrain from arrogant provocation. 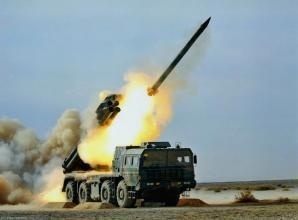 North Korea's newly tested guided missiles probably related to Ukraine. Experts consider that North Korea's ability to bring about a [decisive] leap in the field of ballistic missiles, is probably due to Russian technology and engines illegally received from a Ukrainian manufacturer. 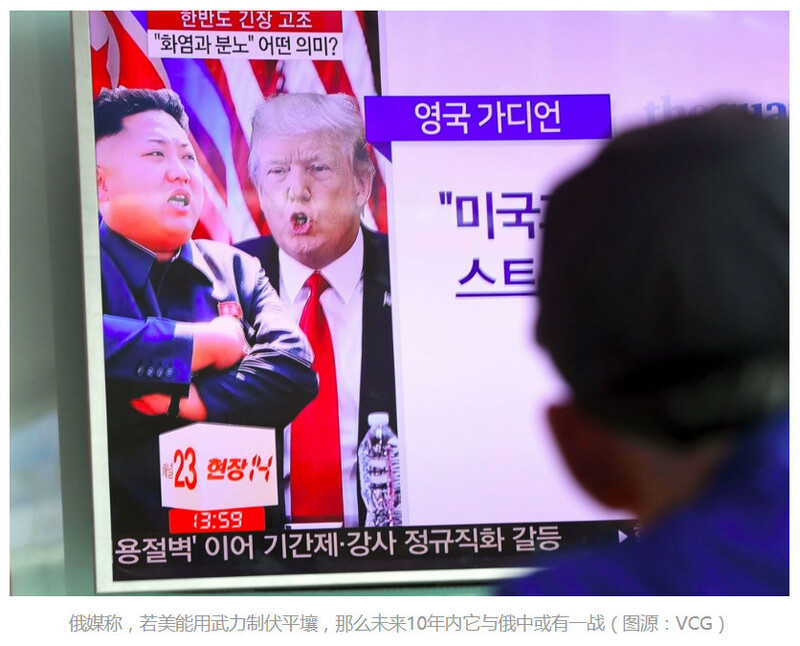 Military experts and Western intelligence organizations keep on searching for an explanation why Pyongyang most recently successfully completed a series of long-range missile tests. 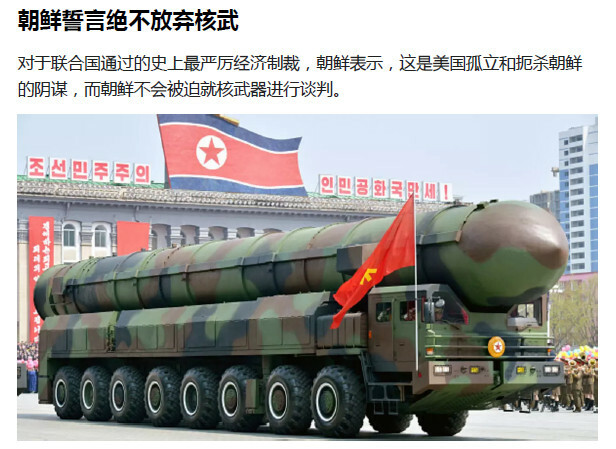 The article is referring to latest North Korean declarations they could reach American homeland with their Hwasong-14 / Mars 14 missiles after their expectations seemingly failed for the long-range capacity of their Musudan missiles. According to some report published yesterday by the International Institute for Strategic Studies, Pyongyang's "surprising progress" can only be explained by acquisition of technology from some foreign country. Fear from China and Russia ? in the frame of an attack on N Korea. Can America refrain from applying military measures? If Washington starts a war but is unable to destroy North Korea's offensive power, that will lead to the thoroughgoing destruction of the southern part of the Korean peninsula and of Japan. Even American homeland will possibly not remain untouched. At that time America will have to abandon for a long time any ideas of fighting mighty enemies, except if the enemy is [to be found in] Africa, the Middle East and South America, i.e. in countries where the military is less developed. But if Washington can subdue Pyongyang by military force, there will be a war with Russia and China for the coming 10 years. An attack on Guam will be considered an attack on the United States, Guam's governor warned in response to a North Korean threat saying that North Korea would create an "enveloping fire" around the US territory using four Hwasong-12 missiles that should detonate 30-40 km off the island. The US military on Guam consists of two bases home to 7,000 troops - Andersen Air Force Base in the north and Naval Base Guam in the south. Some US expert comment is estimating that a North Korean announcement of medium-range missile tests, wrapped into the expression of "enveloping fire", might just be North Korea's way to prevent an immediate US counter-attack and therefore the beginning of a war. Retired US General Jack Keane on the probability of a Guam attack. 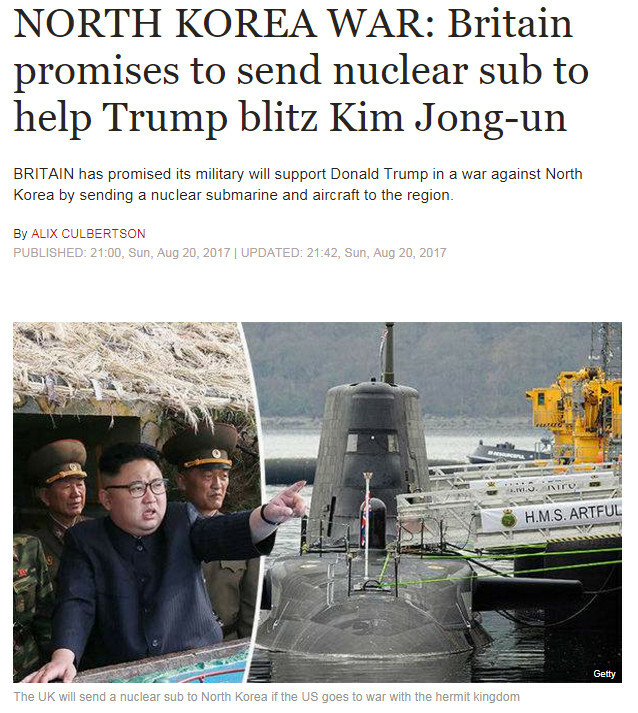 launch a missile attack against the United States at Guam? the knotted crux of the [Korean] peninsula. The antagonism between America and North Korea is lasting for many years. The harder they run into each other, how could it be less painstaking to reach a result. Both sides are knowing each other too well. At the core of the [Korean] peninsula item is the question of security. With both sides mutually proceeding in an equal dialogue, they should be able to figure out as soon as possible what can be mutually and rationally solved in a basic plan as far as security is concerned. Why is North Korea aiming at Guam for hitting targets ? How do Guam people cope with North Korean threats ? 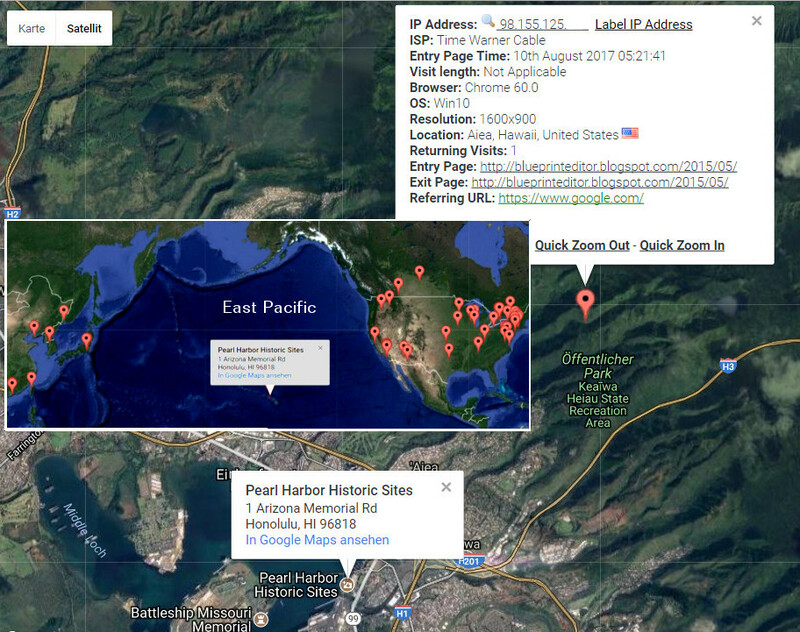 Update added on August 9, 2017. North Korea vows to give up by no means its nuclear weapons. Facing the most severe economic sanctions from the United Nations in their history, North Korea expresses that this is a US plot to isolate and strangle North Korea. North Korea, however, is unlikely to enter into talks on nuclear weapons by force. there is no country other than the US known to use nuclear weapons. A statement from North Korea's delegation says that for the appearance of a nuclear issue on the Korean peninsula and its development up to the current situation America is all over to be blamed. On [August] 7, the North Korean delegation to the Philippine capital of Manila issued a statement to the media and which was signed by North Korea's foreign minister [Ri Yong-ho]. The statement says the North Korean nuclear issue is completely America's responsibility, and North Korea's possession of nuclear power is in order to answer America's threatening. Yet no other country except the USA is known to apply nuclear weapons or is threatening [others] with nuclear arms. naval drills with live ammunition in the Western Sea. 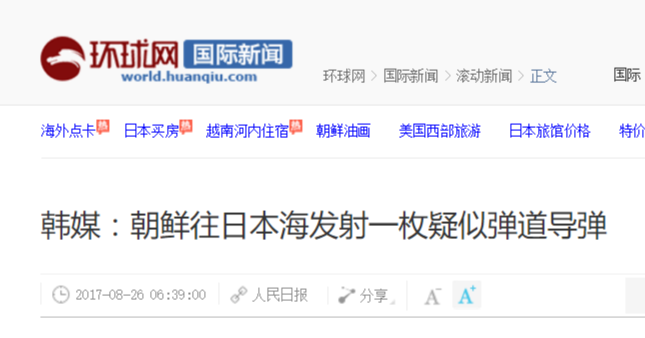 The Chinese article mentions as well that US "nuclear blow drills 核打击演习" could take place at any time and names three US units that would be involved in the proceedings. 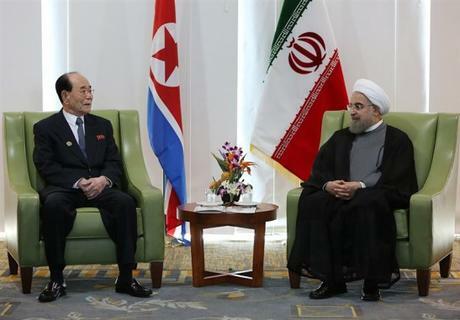 Talks were held between Kim Yong Nam, president of the DPRK Presidium of the Supreme People's Assembly on a visit to Iran, and Hassan Rouhani, president of the Islamic Republic of Iran, on Sunday. Hassan Rouhani said the Iran-DPRK relations have developed on a very high stage, expressing the belief that the friendly relations between the two countries which have jointly struggled against the U.S. will boost in broad fields in the future, too. Earlier, Kim Yong Nam respectively met Speaker of Majlis (i.e. Parliamentary President) Ali Larijani and First Vice-President Eshaq Jahangiri of Iran. saying that sanctions are not the only way to. Reuters from Manila on August 6 - On Sunday, China's Foreign Minister Wang Yi said that a new resolution of sanctions declared by the United Nations Security Council against the DPRK (North Korea) regarding North Korea's series of missile trial launches are a proper response. However, at the current "crucial moment" the dialog for finding a solution to this complex and sensitive matter is of vital importance. China's Foreign Minister is quoted from a speech he held at the ASEAN summit in Manila where high-ranking politicians from Northeast Asian nations have just assembled. Among those who blame North Korea at this meeting is the president of the Philippines, Duterte. On Saturday, August 5, the United Nations Security Council unanimously decided on the country new sanctions that might make their annual 30 billion US dollars of export revenues plunged one third. South to establish contact between each other as soon as possible. The North criticizes the proposal of talks as lacking sincerity.